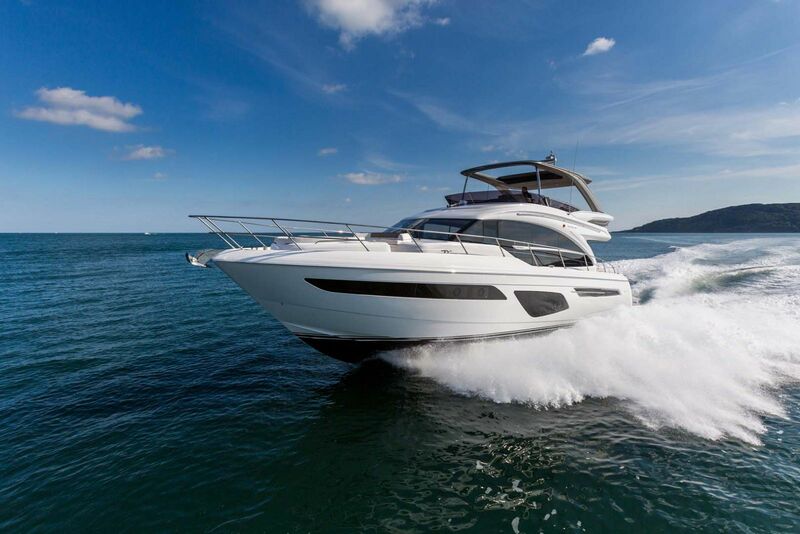 Princess Yachts mid-range models have been outstandingly popular among a crowded market of sport yacht and flybridge boats from Europe, Asia, and the U.S.-based builders. 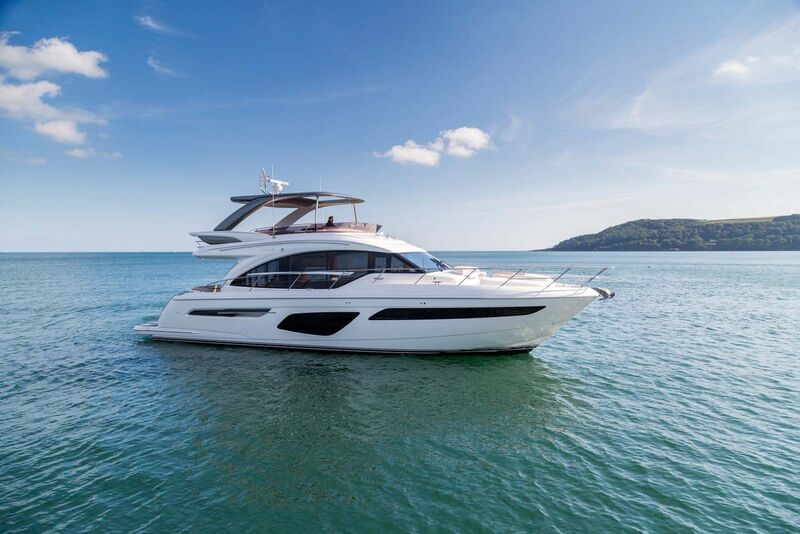 The new Princess F62 Motor Yacht is a perfect step up for owners of the 55 Flybridge or 49 Flybridge looking to grow within the brand, but are not yet ready for the Y-Class models. 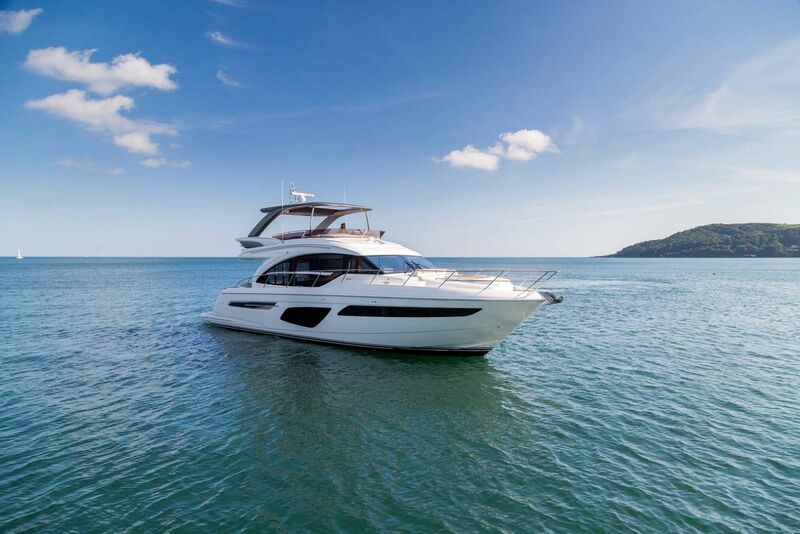 As with all Princess Yachts, the F62 is built with the highest quality materials and construction technology available today. 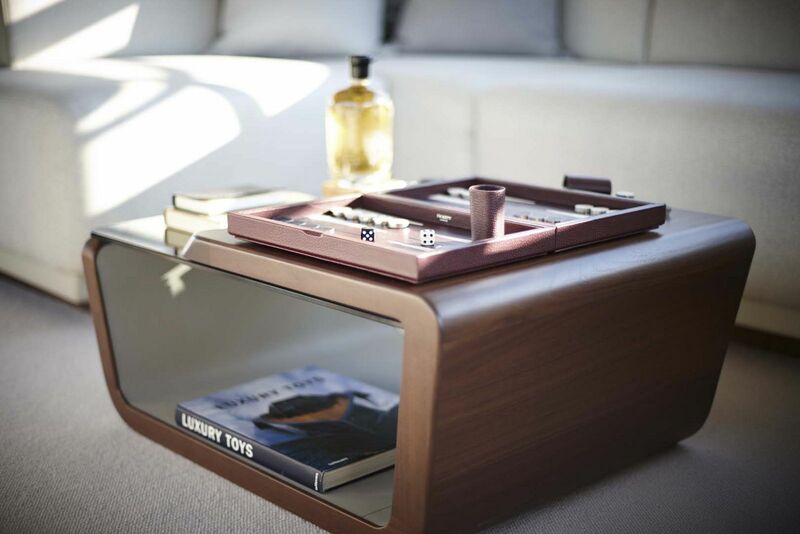 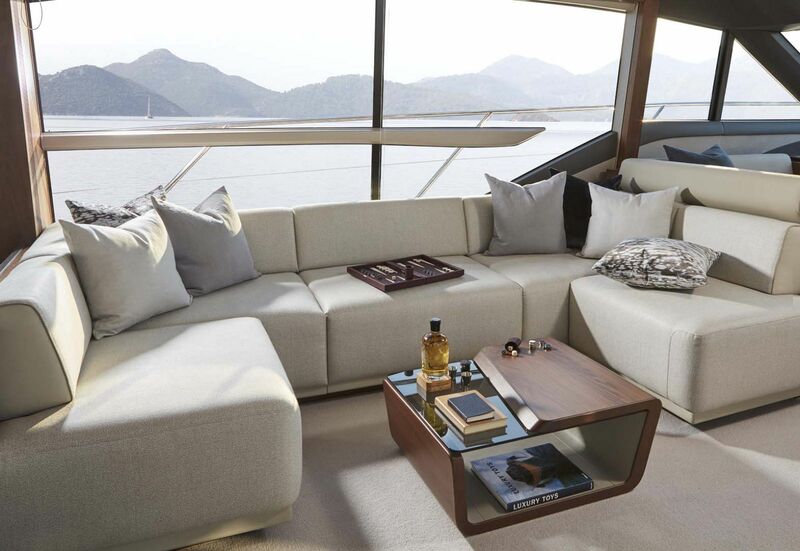 Much of the yacht is resin-infused for extra strength that helps support additional space in the living areas and improves performance. 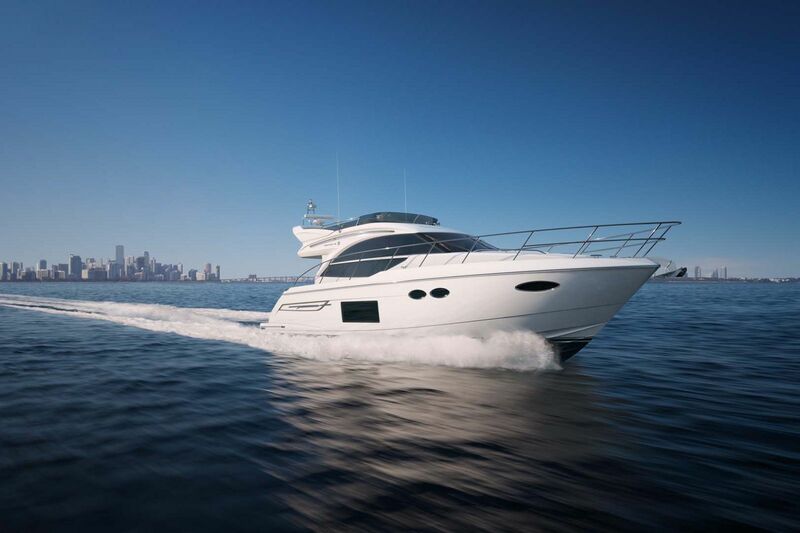 The fact that Princess does all of the manufacturing, woodwork, metal, and other components in-house means that the consistency and quality control of every vessel are of the highest standards. 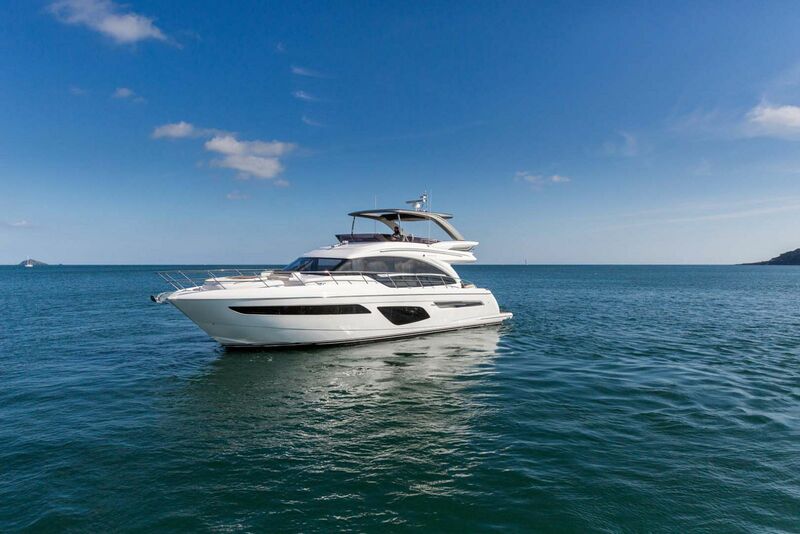 For boaters looking to purchase in the 60-foot motor yacht range, there are simply no better options than the Princess 68 Flybridge or the Princess 62 Flybridge motor yacht. 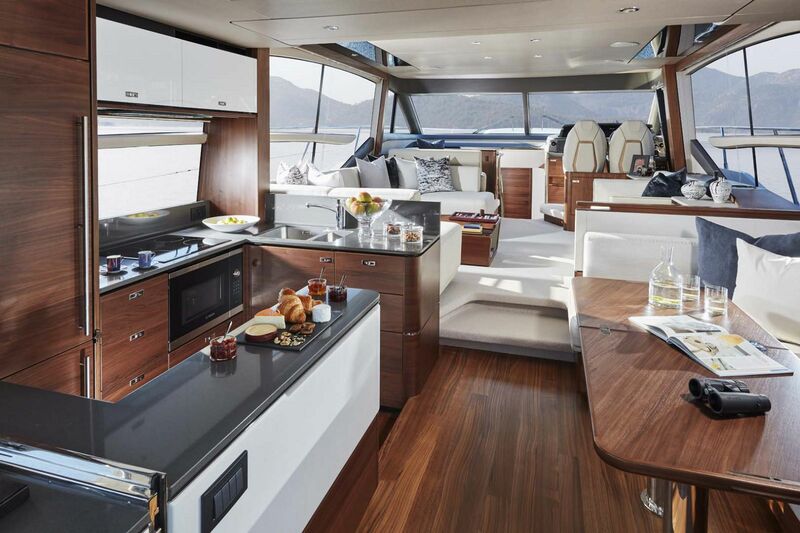 Perhaps no space on board the 62MY is used as much as the flybridge which is spacious and sports a sunroof hardtop above the helm station for the ultimate outdoor driving experience. 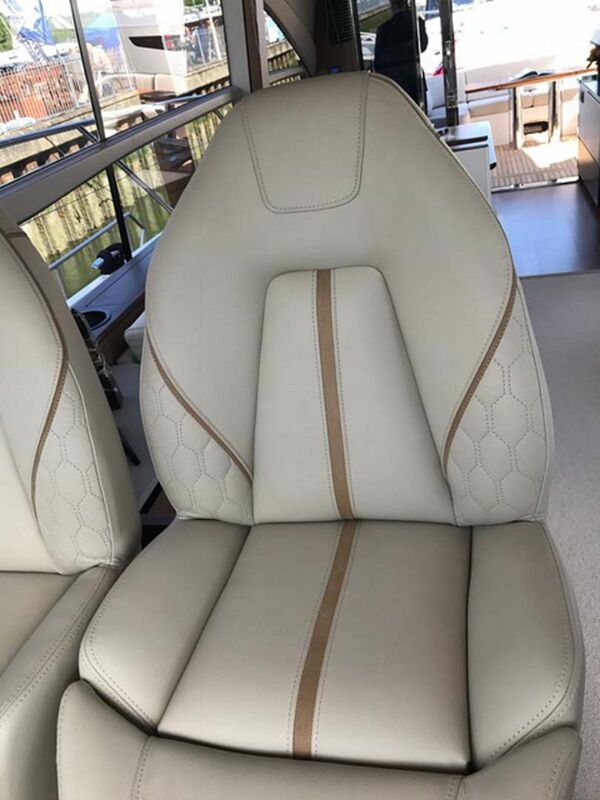 There is a sunpad placed aft that is a great place to sunbath and enjoy the surroundings and close by is a U-shaped seating area that doubles as a space for outdoor dining and converts to an extra sunpad. 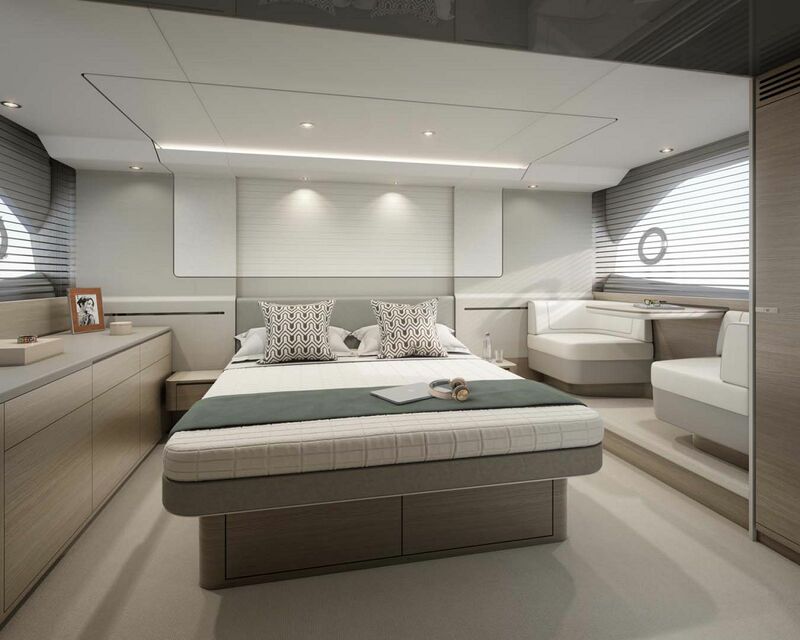 For those wanting to sunbathe and get into the water as well, venture down to the hydraulic swim platform near the transom and lower it into the sea for your own private in-water lounge. 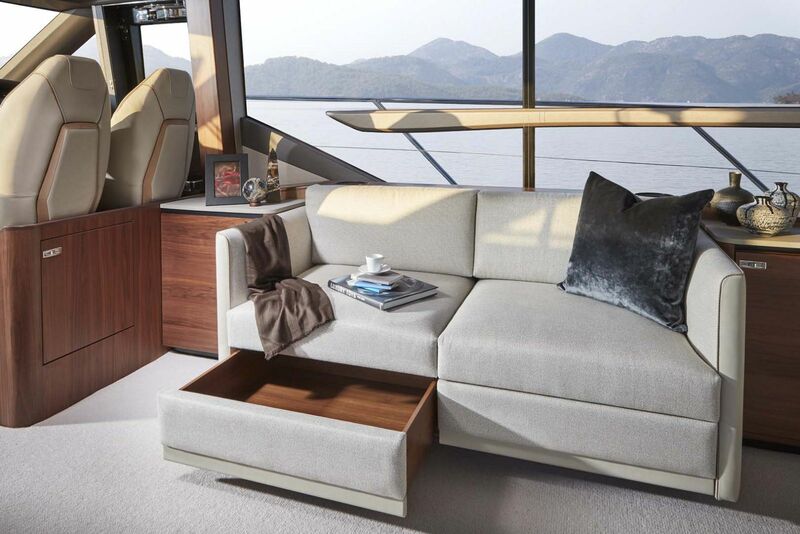 If there is one thing that the main deck of the 62 Flybridge is not lacking, it’s seating. 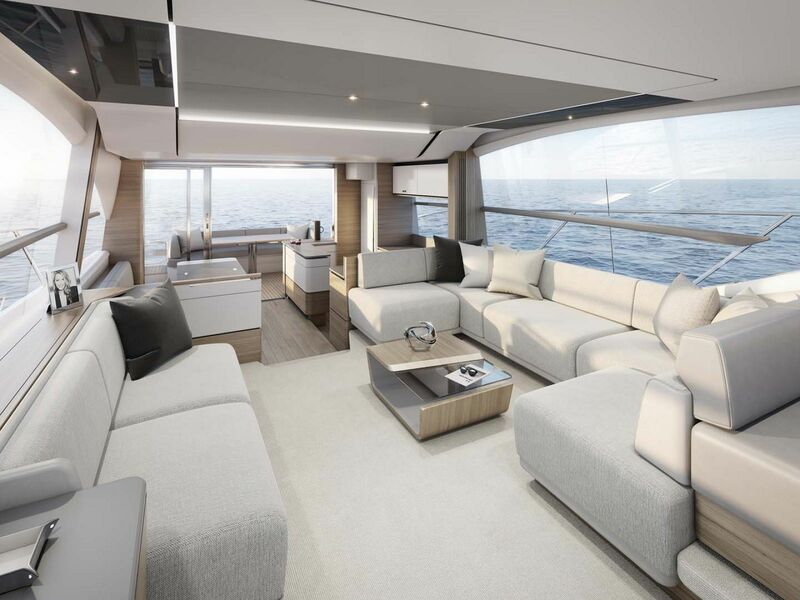 Entering the salon, you will immediately see the U-shaped settee and coffee table, a sofa, and a L-shaped dining area all in an open concept. 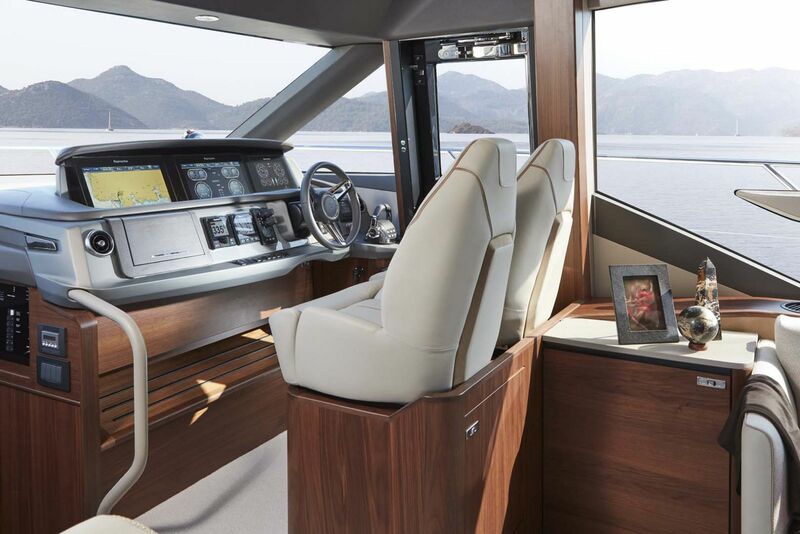 There is additional seating near the helm so the captain has company when underway. 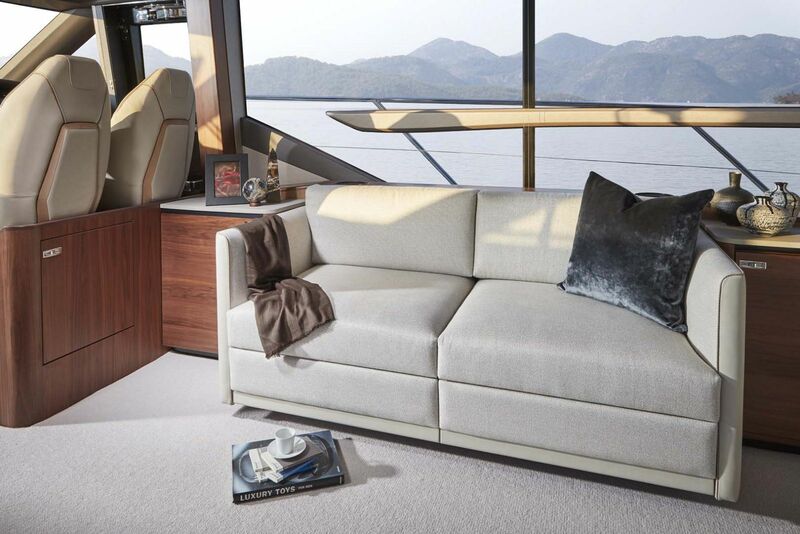 A forward-facing L-shaped settee is opposite the helm station. 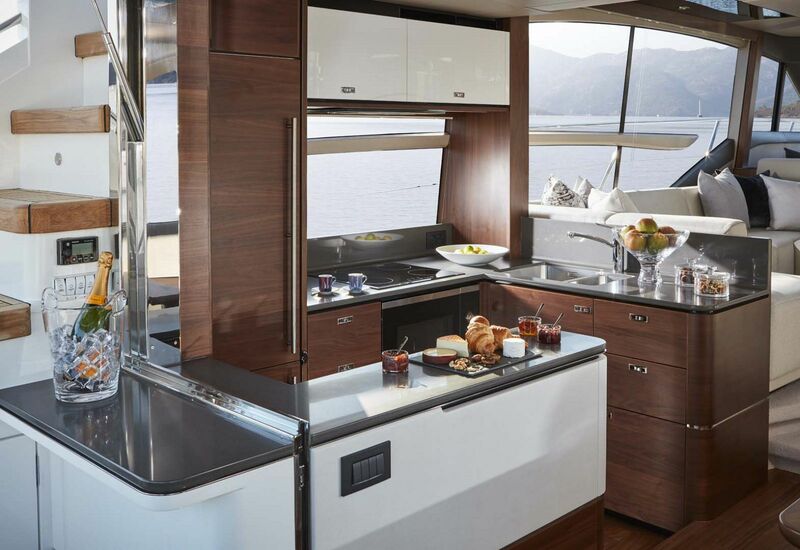 Serving food and drinks to guests on the main deck is easy with the open galley and countertops in addition to the electric aft window the rolls down to a bar in the aft cockpit. 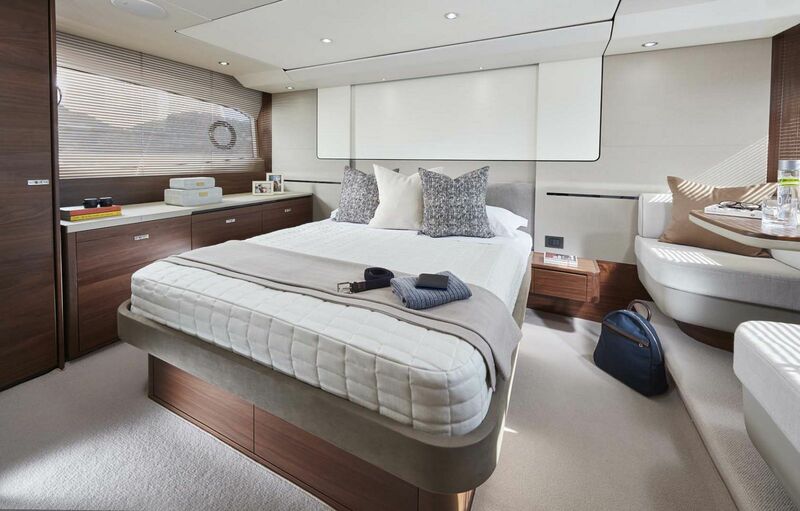 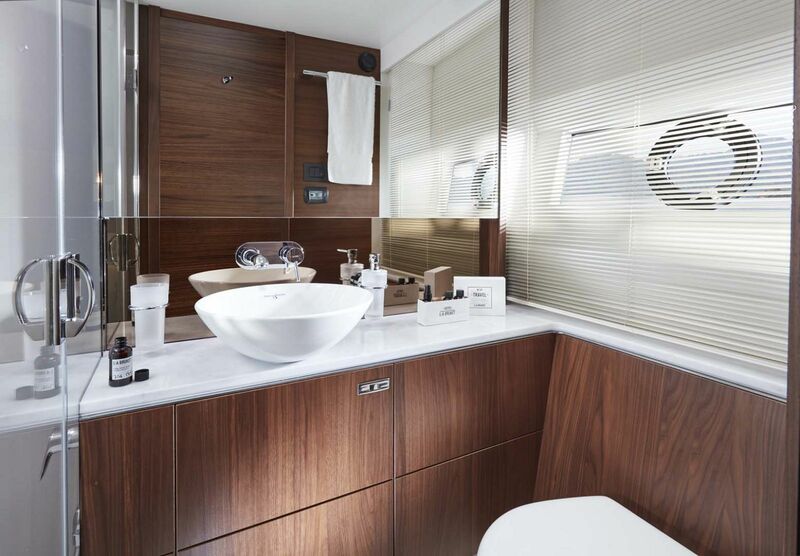 The en suite master stateroom on board the Princess 62 Flybridge features a double berth that faces a 40-inch flatscreen television and night stands on both sides of the bed. 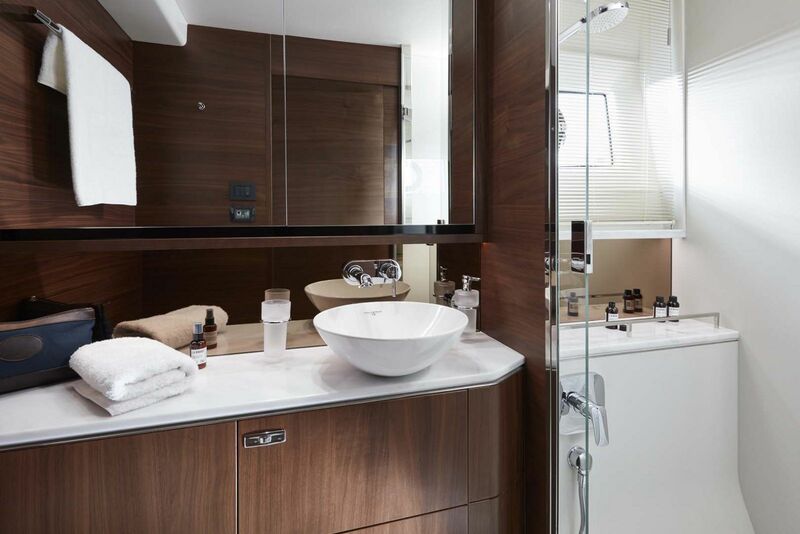 There are multiple drawers and hanging lockers for clothes, storage under the mattress, and a sitting area opposite the dresser. 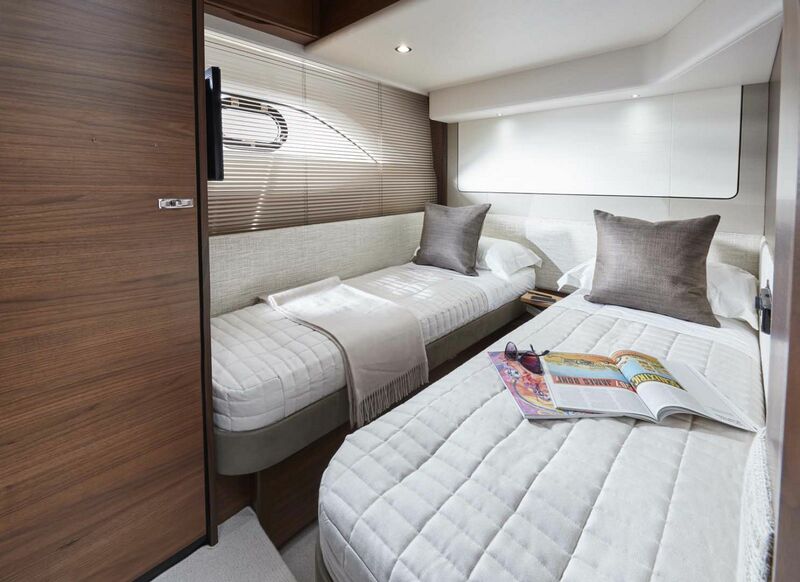 The two additional guest staterooms each have their own private head and an optional layout can even include a fourth stateroom if desired. 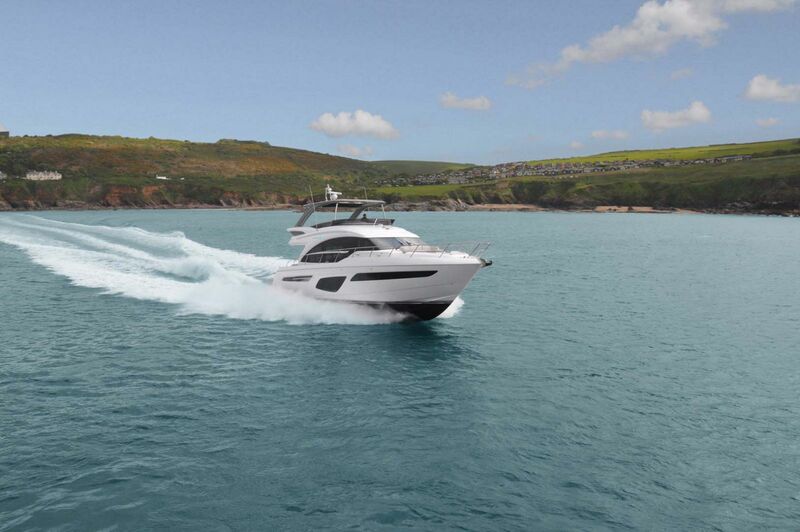 The base power package on the 62MY includes twin Volvo D13 900hp engines that provide for a maximum speed of up to 31 knots. 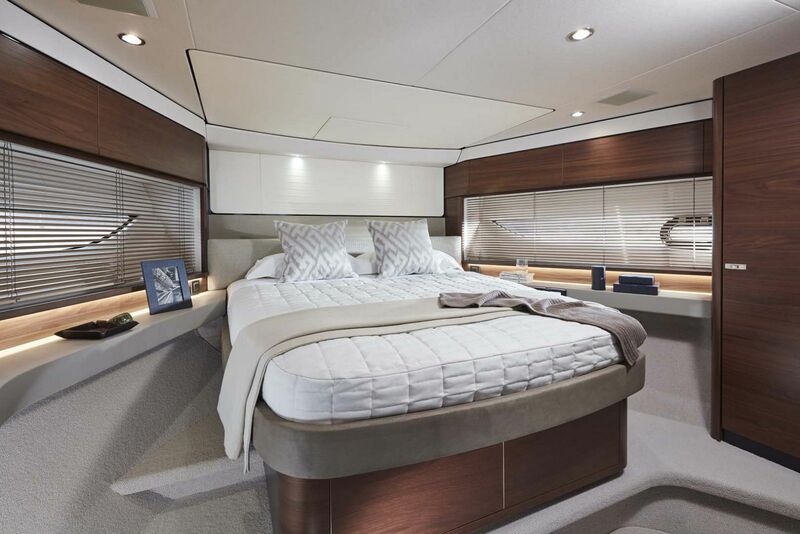 Owners wanting a little more acceleration can upgrade to the Caterpillar 12.9 1,000hp engines for the additional horsepower. 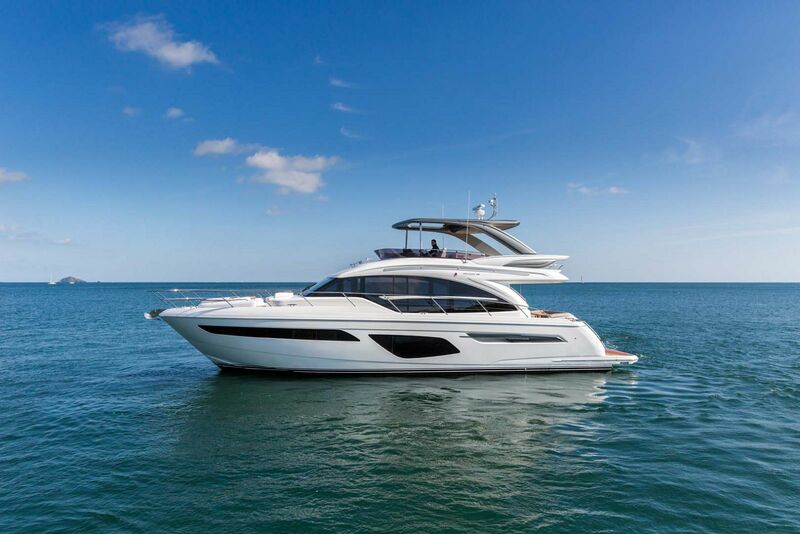 For more information on the new Princess Yachts 62 Flybridge Motor Yacht, please contact your Staten Island Yacht Sales Professional. 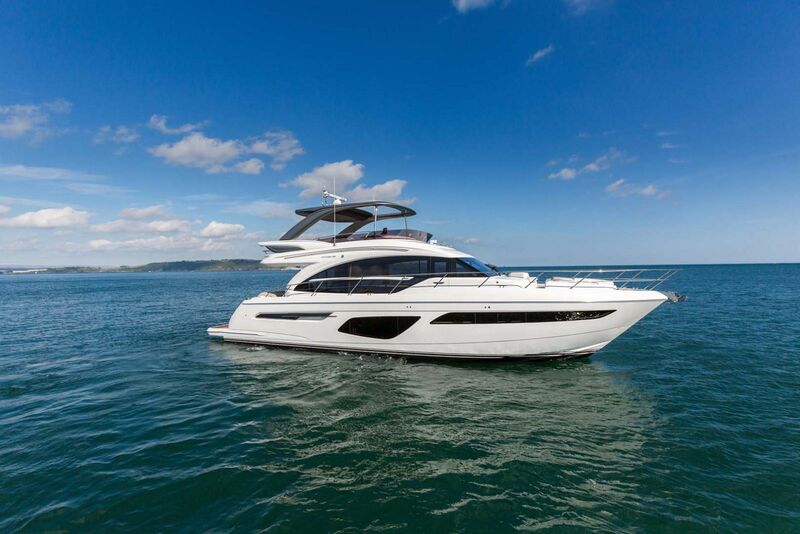 Motor Boat and Yachting magazine reviews the clever styling of the Princess 62 Flybridge. 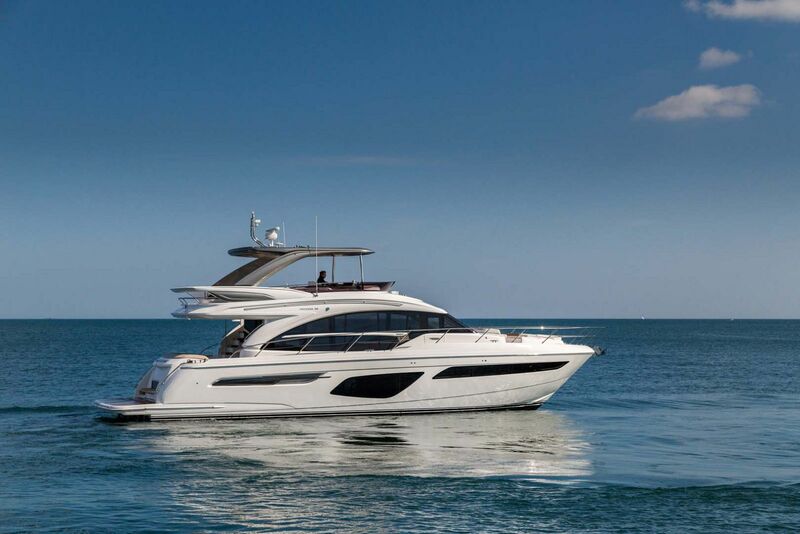 Robb Report magazine goes in depth on the Princess Yachts 62 Flybridge. 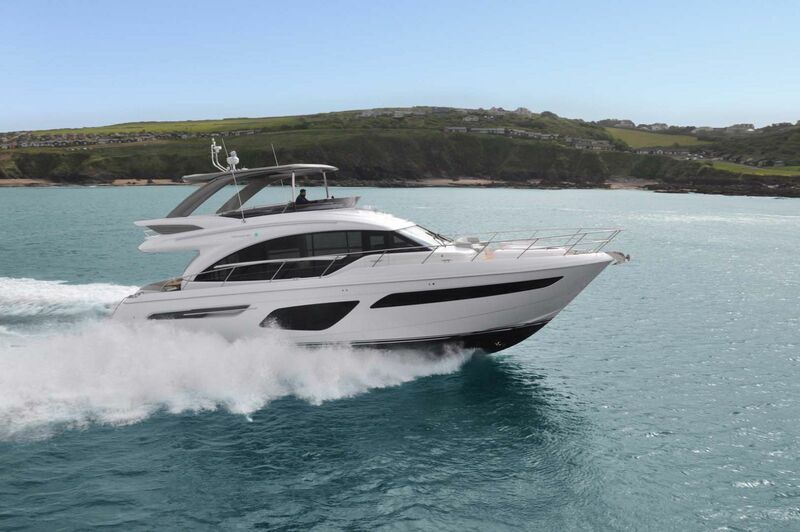 Boats.com editors created a video review of the Princess 62.